Get more out of your workouts, reduce risk of injury and feel better by warming up and prepping your body properly BEFORE YOU MOVE! This entry was posted in Uncategorized and tagged ambassador, Ashley Benson, athletic training, Clinics, injury prevention, injury recovery, Nashville, Parasetter, PhysicalMind Institute, pilates, product review, sports performance, Tennessee, warmups, workout on March 27, 2018 by admin. NEW PILATES WORKOUT. THIS IS SO EASY! We can all squeeze in 5 minutes to care for our body. 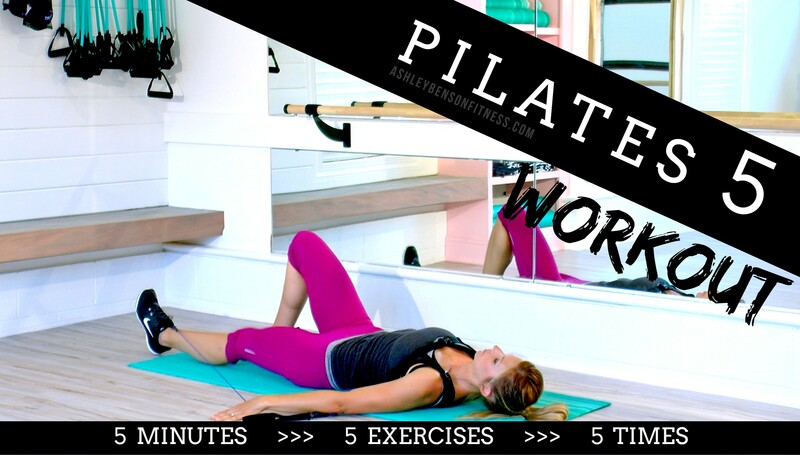 Pilates builds long, strong muscle and focuses on the abdominal wrap. Use a TYE4 harness to speed up results. Visit Pilates PhysicalMind Institute to purchase TYE4. 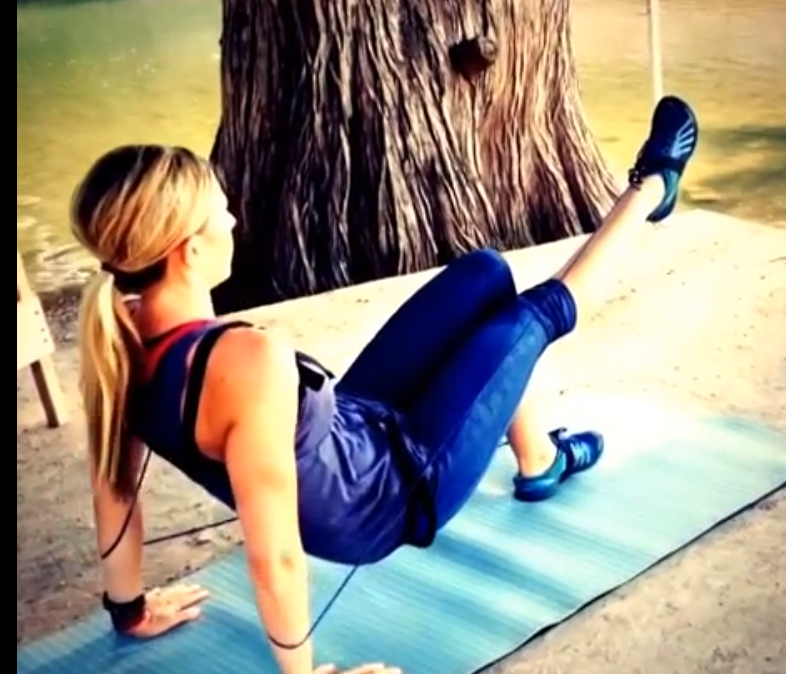 If you don’t know much about Pilates, check out this fun video! This entry was posted in Uncategorized and tagged Ashley Benson, core exericse, exercise video, home workout, Nashville Tn, pilates, Tye4, workout on July 27, 2016 by admin. My Daughter TAYLOR has taken over my Youtube Channel!!! She follows Youtuber Cassey Ho → Blogilates ← and wanted us to try her PARTNER WORKOUT. It was so fun and I was laughing so hard I could hardly talk… But we did it! 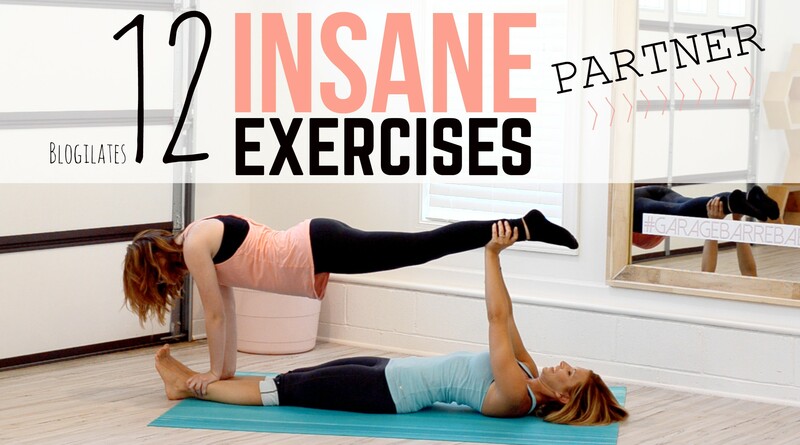 We mastered almost all of these exercises. Share with a friend and give it a try! This entry was posted in Kids, Nashville, Video, workout, workout video, youtube workout video and tagged Ashley Benson, Blogilates, Cassey Ho, family fitness, insane exercises, partner workout, pilates, workout, workout challenge, workout video on June 24, 2016 by admin. To test, I did all the exercises (50-60 reps) at the GYM with basic equipment and then I did the same workout using only TYE4® at home. The TYE4 session made me SORE, got my heart rate up higher but I had no joint pain and had a fast recovery period. Also, my back felt good and strong – almost like I’d come from a massage!! Further evidence of the value of the Tye4! My online coaching group is starting this 30 day workout challenge soon and they will receive daily videos showing how to apply the TYE4 to each exercise to make it more effective! This entry was posted in core exercise, core training, Exercise, Fitness, leg workout, Tye4, TYE4®, Video, workout video, youtube workout video and tagged Ashley Benson, fitness challenge, gym workout, home workout, kettlebell, lunges, online coaching, plank, squats, Tye4, workout, workout challenge on January 11, 2016 by admin. There is a new fitness love in my life, and it’s called Tye4®. I attended the Official Tye4 Launch and Training Workshop in New York this summer and am now teaching five Tye4 classes a week and can’t stop talking about it! This new fitness tool has my creative exercise juices flowing and has given me a fresh excitement and hope for the health, strength, and the repair of our bodies. The Tye4 is a wearable resistance. It’s a harness that can be worn higher or lower on the chest, depending on preference, with easy adjusting straps. It has a bungee that attaches to both feet separately, and one that attaches to both hands. It was invented by Joan Breibart, Founder and President of the PhysicalMind Institute. She introduced the first Pilates certification program, the first Mat Work Pilates Video in 1991, ‘Working Out The Pilates Way‘ and other books, articles, and inventions that have helped the Pilates Method evolve and benefit our generation. I teach two different classes: 1. Tye4 Fusion and Tye4 Pilates. The Tye4 Fusion class is a combination of aerobic, barre, strength training, Pilates and stretch. I start with a dynamic warm up that loosens our spine and hips and awakens the body to move. Using Tye4 gives us something to push or reach through (a closed kinetic chain) and enables greater stretch and lengthening. We move from warm up to full on sweaty, aerobic exercise. I give high impact options for some of the moves, but it is optional. The beat of the music is fast and we have fun feeling a full body burn. Next, the music slows down and relaxes our minds so we can put full focus and concentration into the Barre moves. Here I use the Tye4 to assist in leg lifts and balancing. We don’t over work the hip flexors and because we are able to hold balance so much better and longer with Tye4, we feel a beautiful burn from our glutes all the way down into our calves in the stabilizing leg! I LOVE THAT! Honestly, this is where I start sweating! Hard work. After Barre, I take my class through a series of strength moves, including pushups and plank. Again, using the Tye4 is changing the game! We use a front cross leg bungee variation when doing a modified pushup. The leg bungee cross “reminds” the body to keep the core engaged during the movement, and the crossed hand bungees provide resistance! I no longer have to nit pick on form. It just happens with Tye4! And modified or “girly pushups” create such a surprising burn! I wrap up our class with Pilates down on the mat using Tye4 in each exercise. We now can move with more control, stabilize with more awareness, and stretch deeper. As I’ve heard from a few of my clients, “I can really feel my muscles now.”. I agree with what About.com had to say about the Tye4, “What is so great about the Tye4 is that the lines of resistance feedback to the core of your body. This is very Pilates approach to fitness. 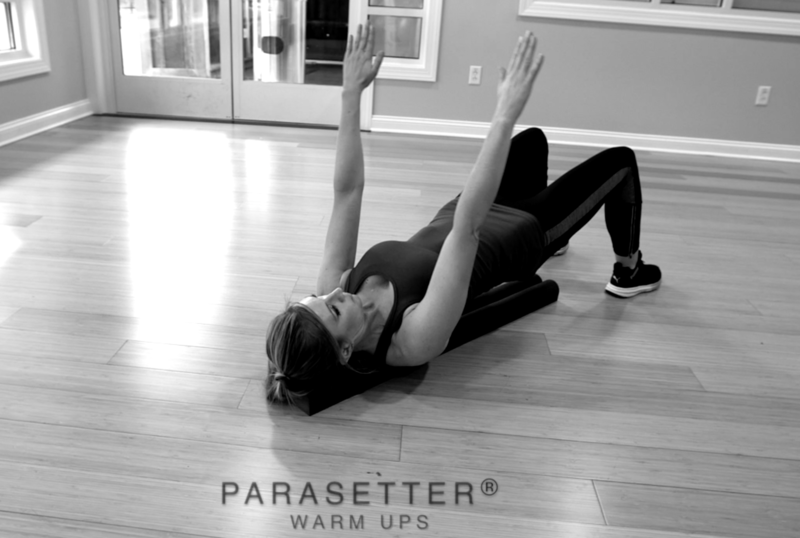 It’s an effect we get from much of the larger Pilates equipment like the reformer, but getting that direct feedback with something as portable as the Tye4 is unusual.”. Tye4 was invented in the Pilates world, but it is a creative, effective tool that can be used with many other types of fitness. For more information, visit TheMethodPilates.com and ‘Like’ my my FaceBook page Nashville Fitness for the latest updates on classes, workshops, and Tye4 talk. So far, I’m getting great feedback from every one of my clients who have tried it out. It seems to be quite addicting! If you can’t tell, I’m really excited about Tye4 and I hope you take some time to look into it. Maybe it’s something you can incorporate into your exercise routine or use to bring your clients to a new level of health! This entry was posted in core exercise, core training, Exercise, Fitness, pilates, Product Reviews, resistance training, Tye4, workout and tagged Core, core exercise, dance, Exercise, Fitness, Nashville, personal training, pilates, product review, strength training, Tye4, workout on December 18, 2014 by admin. We just spent a great week in the cool little German town my parents live in – New Braunfels, Tx. It’s a tourism town and a GREAT place to visit! There are two rivers that run through the town, and I couldn’t help but use both of them as a backdrop for your next workout videos :). 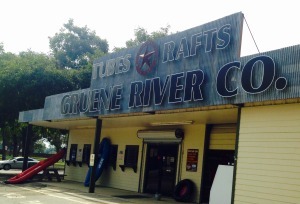 First, we filmed behind Bubba’s Big Deck at Gruene River Co., right on the Guadalupe River. It’s a gorgeous location with it’s huge old trees, the river rapids and the interesting wildlife all around. In the summer months, this is an awesome place to tube the river, kayak or just hang at the bar and watch all the river traffic pass. This entry was posted in Fitness, workout, workout video, youtube workout video and tagged Core, core exercise, Exercise, Fitness, personal training, pilates, strength training, Tye4, workout on October 25, 2014 by admin. Whether you work the gym into your weekly routine, attend exercise classes, work with a trainer or workout at home, you have intentionally added fitness to your routine. I hope you have found a workout program that is efficient in getting you to your goals, is safe in preventing injuries and building your body stronger, not tearing it down and is something you enjoy doing. Even still, it’s part of your routine. In normal life, we workout to reach a goal – weather it’s to decrease body fat, strengthen muscle, improve cardiovascular system, or provide a “home” we can live in that will support our lifestyle and help us to live to the fullest… and the list goes on. When I’m on vacation, however, you will not find me in a typical hotel gym or visiting a familiar health club to get in a workout. Nope. The essence of vacation is to pause all (or as much) of life that produces stress and requires diligent focus, right? You know, all the routines and demands of life. It’s a time to rest, gain new perspective and refresh the soul. I believe this to be good and true for you physically as well as mentally. Now if you de-stress and “relax” at the gym – more power to ya! I am NOT implying that vacations need to be lazy. NOT. AT. ALL! Vacation should also include adventure, and this is where activity happens. Staying ACTIVE on vacation can be a lot of fun and will push your body in ways it’s not use to! At the end of the day, this mind set will remove the guilt that accompanies “missing a workout”. Guilt can be replaced by fulfillment and a sense of accomplishment knowing that you’ve challenged your body beyond it’s norm. I like to think of this like a “free” workout”! And you will be able to return back to your normal routine once you get home without missing a beat. This entry was posted in Fitness, Travel, TYE4® and tagged adventure trip, Aria Resort and Casino, beach, BVI, Fitness, Las Vegas, Nashville, New Braunfels, nutrition, pilates, sailing, Schlitterbahn, The Baths, Trapeze Las Vegas, travel, vacation, Virgin Gorda, workout on May 29, 2014 by admin. You get the idea. Make this work for you! The goal is to stay active, challenge your body beyond its normal load and have fun! 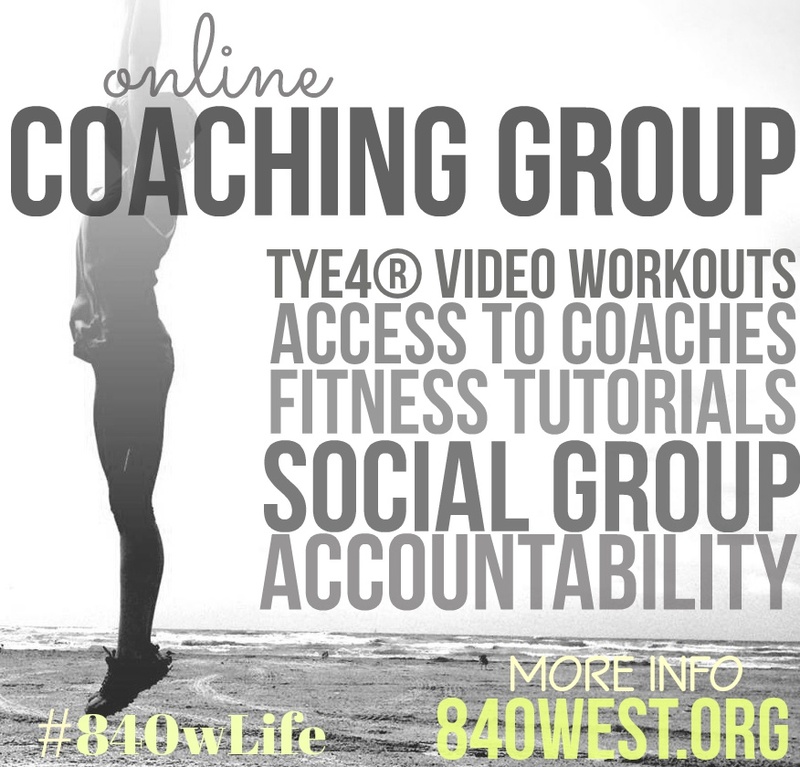 FULL VIDEO WORKOUT ARE AVALIBLE IN THE 840WEST ONLINE COACHING GROUP! Join our Online Coaching Group ($10/month) and get more full workout videos, workouts, coaching, encouragement and a fun social online space to connect with others in this game to be more healthy and fit! Click HERE for more info!! This entry was posted in Exercise, Fitness, pilates, Tye4, TYE4®, Video, workout and tagged arm workout, core exercise, Exercise, leg workout, Pilates workout, Tye4, upper body exercises, workout, workout at home, workout routine, workout video on May 18, 2014 by admin. SHE IS AN AWESOME HOLISTIC CHEF FROM NASHVILLE. SHE IS CERTIFIED AS A NATURAL FOODS AND HEALTH SUPPORTIVE CHEF AND CONSULTS AND LEADS WORKSHOPS AROUND TOWN TO TEACH AND ENCOURAGE US TO LIVE INTENTIONALLY. READ MORE ABOUT HER SERVICES AND CLASSES HERE. 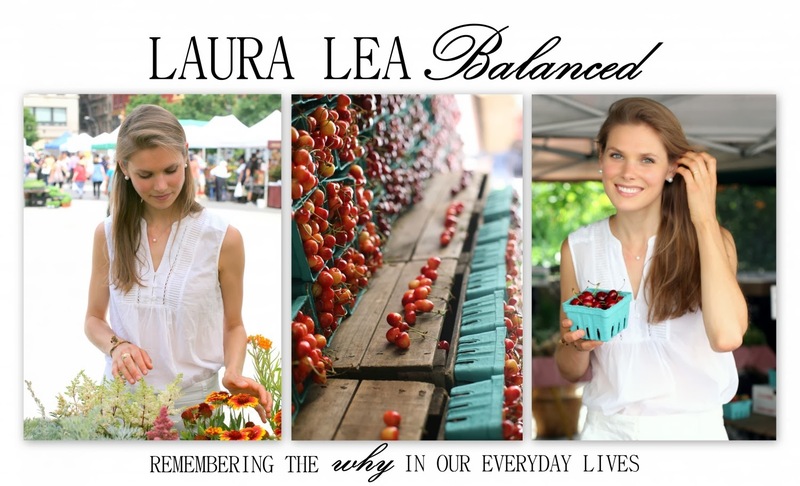 I ATTENDED ONE OF LAURA LEA’S FOOD WORKSHOPS IN BRENTWOOD- IT WAS GREAT! SHE TALKED ABOUT FITNESS FOODS AND HAD SOME OF THE YUMMIEST SAMPLES FOR US TO TRY. 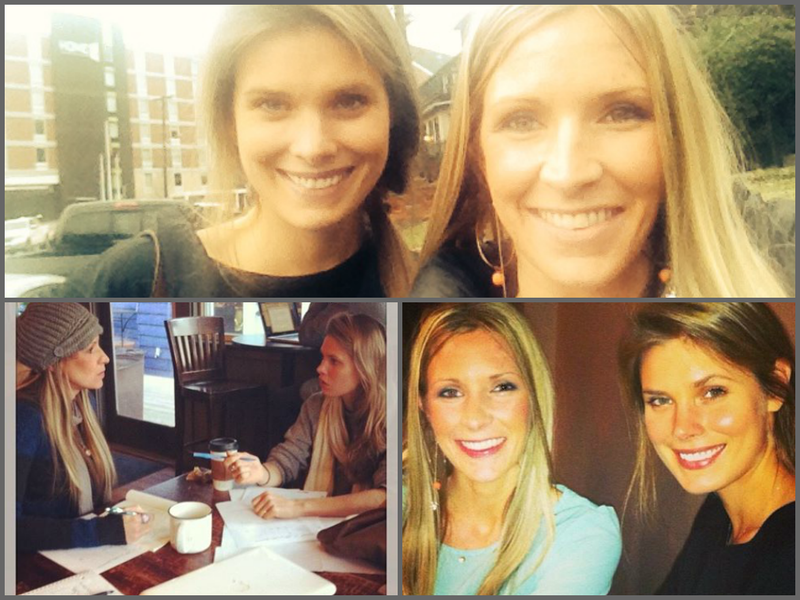 AFTER SPENDING A FEW MINUTES TOGETHER, WE QUICKLY REALIZED WE HAVE THE SAME VISION AND GOALS FOR OUR CLIENTS. WE ARE PASSIONATE ABOUT SETTING YOU UP WITH TOOLS TO SUCCEED IN ACHIEVING YOUR FULL POTENTIAL. WE LIKE PEOPLE AND WANT TO SEE A HEALTHIER AMERICA. 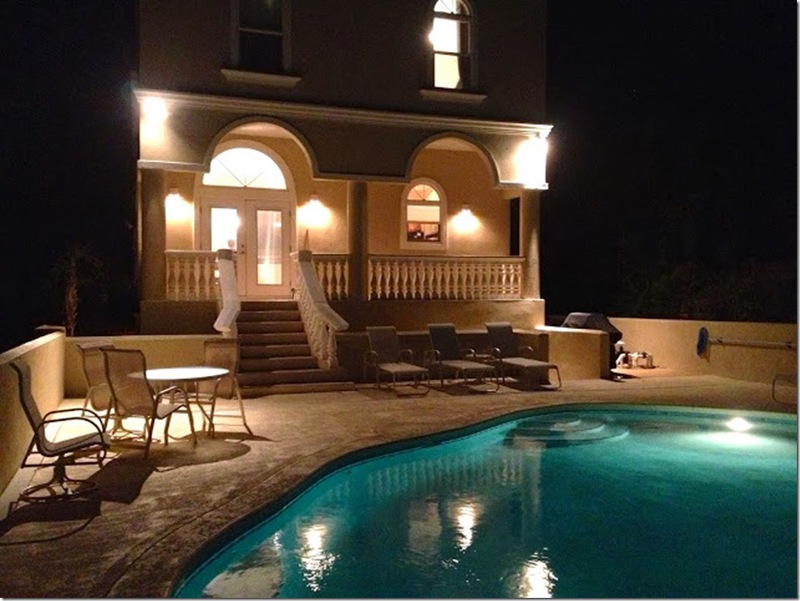 FAST FORWARD TO NOW AND WE LEAD HEALTH & FITNESS RETREATS! FITNESS: WE WILL HAVE APPROXIMATELY 9 WORKOUTS. I KNOW WHAT YOU’RE THINKING: “WHAT KIND OF VACATION IS THAT!?!? !” WELL LET ME TELL YOU- EVERY WORKOUT WILL NOT BE A KILLER. YOU WILL LEARN TO WORKOUT SMARTER AND YOU WILL LEAVE ENJOYING EXERCISE IF YOU DON’T ALREADY. SOME OF THE WORKOUTS WILL AIM AT BUILDING STRENGTH, SOME WILL PUSH ENDURANCE AND COORDINATION, AND MANY WILL PROMOTE HEALING AND RECOVERY. YOU WILL LEARN A LOT AND BE ABLE TO APPLY IT TO YOUR ROUTINE WHEN YOU RETURN HOME. 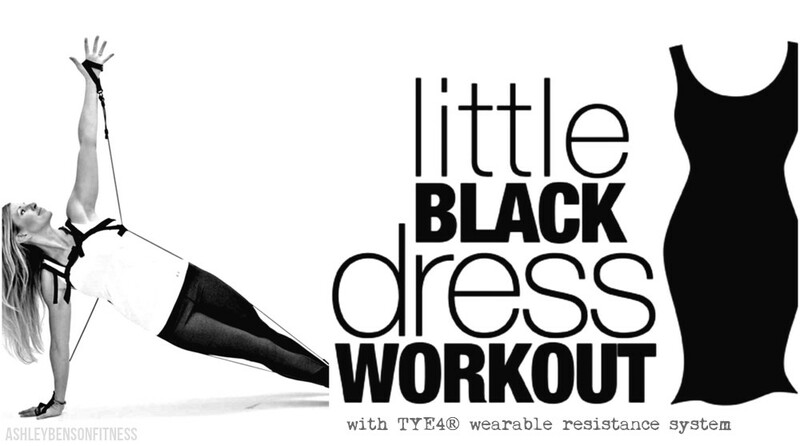 I AM VERY EXCITED TO INTRODUCE THE GROUP TO THE NEW TYE4® FROM TheMethod Pilates – WEARABLE RESISTANCE!!! WE WILL USE IT IN OUR FITNESS SESSIONS… AND YOU WILL BE TAKING IT HOME!!! IN THE KITCHEN: LAURA LEA WILL BE COACHING US. SHE WILL ANSWER QUESTIONS LIKE, “SHOULD I EAT BEFORE I EXERCISE?” AND “WHAT AND WHEN SHOULD I EAT AFTER I WORKOUT? 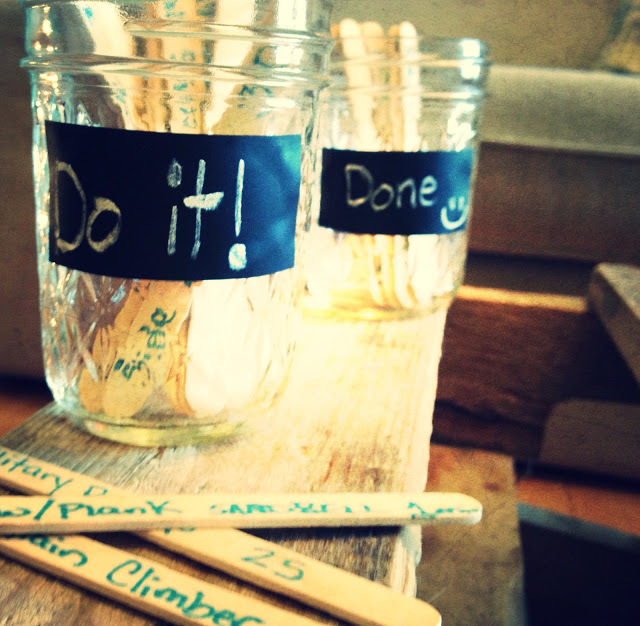 ” SHE WILL ALSO BE TEACHING US PRACTICAL MEALS WE CAN MAKE DURING A NORMAL WEEK TO FUEL OUR ENERGY AND PRODUCTIVITY. YES THIS IS A HEALTHY VACATION… AND YES THERE WILL BE REAL DESSERT! 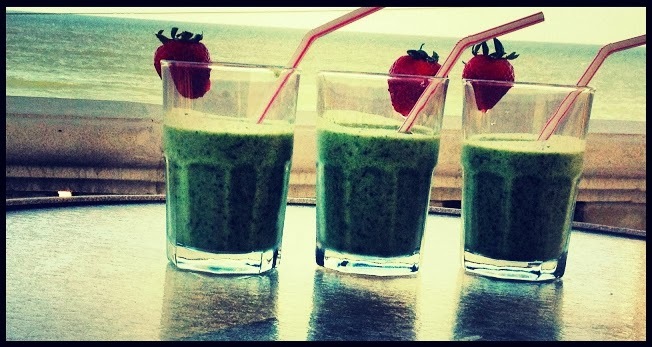 CHECK OUT LAURA LEA’S BLOG TO GET EXCITED ABOUT HER RECIPES. WE WILL COME HOME FROM THIS TRIP REFRESHED, INSPIRED AND EMPOWERED! Click HERE to see the NOVEMBER 2012 trip. This entry was posted in Fitness, Fitness Vacation, Travel and tagged adventure, beach vacation, beach workout, coaching, cooking healthy, Fitness, girls trip, health, Holistic chef, Nashville, natural foods, personal trainer, pilates, St. Augustine, vacation, workout on December 10, 2013 by admin. Fitmark has a great blog for fitness enthusiasts written by an impressive list of Fitmark Ambassadors. I have the privilage of being one of them! I’m excited today because FitmarkBags.com just published my TYE4® Review post! Come over and read it. After, you will understand how Tye4 will enhance your workout and how I am using it in my TYE4 Fusion Class and the TYE4 Pilates Class. Thanks for helping spread the word! This entry was posted in Fitness, News, TYE4® and tagged Barre, fit mark, fitness classes, guest blog, healthy lifestyle, Nashville fitness classes, Nashville pilates, personal training, pilates, pilates video, product review, success, workout, workout video on September 30, 2013 by admin. Burpees Are A Terrible Exercise, So Why Did I Base An Entire Class Around It? Claim your FREE CLASS below!